Chess may have its “black vs. white” color scheme, but for video games it’s often “red vs. blue.” It’s the kind of matchup that you find in dozens of games once you go looking for it, whether it’s the color of your avatar, the heads up display, or both. Sometimes you’re randomly assigned to a team when you join, but other times you can choose. Is there any advantage to picking red? Or blue? Yes. Well, maybe. A bit. Image credit: DeviantArt user TonyC445. I just finished reading the book Drunk Tank Pink and Other Unexpected Forces That Shape How We Think, Feel, and Behave by Adam Alter.1 One chapter deals with how the color of a uniform can affect performance in a competitive sport. 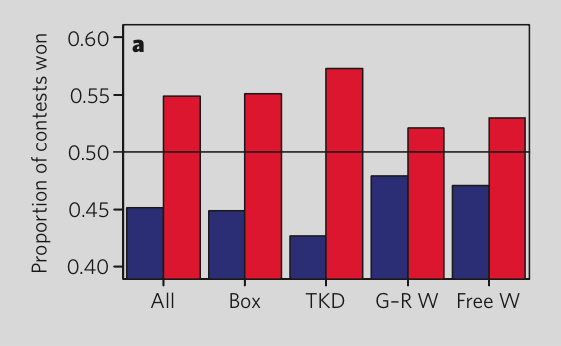 Alter cites a 2005 study that looked at Olympic athletes participating in one-on-one “combat sports” like boxing, tae kwon do, Greco-Roman wrestling, and freestyle wrestling.2 The rules of the Olympics stipulate that one competetor is randomly assigned a blue outfit while the other gets red. Thus it was a great opportunity for a natural experiment on the effects of uniform color on performance. Taken from Hill & Barton (2005). Hill and Barton’s theory (which is also Drunk Tank Pink author Adam Alter’s theory) is that throughout nature the color red is associated with heightened agression, dominance, and testosterone levels (think mating season and/or fighting season). Skin gets flushed and animals display the red bits of their bodies while engaging in dominant and aggressive behavior. I know; it sounds a bit far fetched in the context of humans participating in sports, but the idea is simply that wearing the color red primes competitors to think more about being particularly aggressive and dominating. That is, it makes thoughts about those concepts come to mind quicker and more easily. In sports like boxing or tae kwon do where agression makes you more competitive, this matters. Wearing red, the researchers argue, essentially makes it just a little easier for you to get pumped up and visualize the kind of behavior that wins bouts. And the competitor in blue might compound the effect by perceiving his/her red opponent as more intimidating or imposing. This might even all be subconscious. Probably is, in fact. And the athletes aren’t the only ones affected. Alter also cites another study that showed how referees can be affected by the same principle.3 In the study, professional tae kwon do referees watched recordings of red and blue competitors trying to knock the stuffing out of each other. Per the official rules of the World Taekwondo Federation, the referees awarded points to specific types of blows. Here’s the trick, though: for half of the referees, the researchers digitally altered the footage to swap the red/blue colors on the athletes’ uniforms. So the footage was exactly the same as that seen by the other referees, except that blue competitors were now the red and vice versa. Hey, I’ve got an entire book about stuff like this. 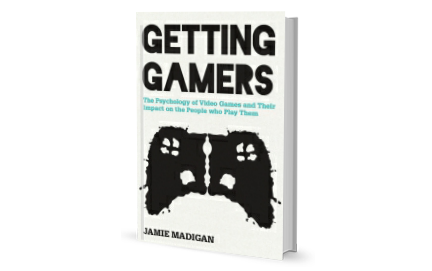 It’s called Getting Gamers: The Psychology of Video Games and Their Impact On Those Who Play Them. Click above for more info. The result? Both sets of referees gave more points on average to those athletes in red uniforms and less to those in blue. The color of the uniform affected their judgement independent of their performance, presumably because it tapped in to some unconscious bias the judges had for thinking that someone in red was more agressive and more dominating. This wasn’t the first study on uniform color, either. Back in the 1980s Mark Frank and Thomas Gilovich looked at the number of penalties earned by teams in the National Football League and National Hockey League that wore black uniforms.4 They found that those wearing black –a color typically associated with the wardrobes of the villainous– were found by referees to be more guilty of infractions, fouls, and rule violations relative to those wearing light colored jerseys. Does the same thing happen in video games? Sometimes, at least. 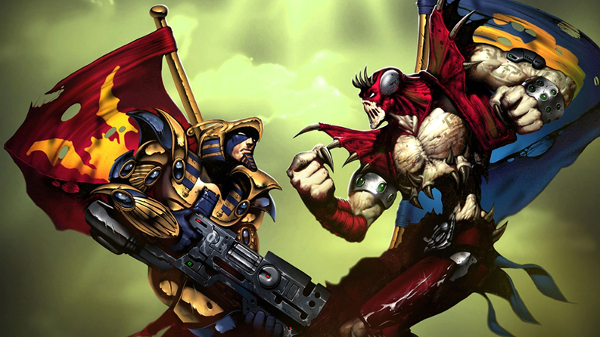 One 2008 study published in the journal Cyberpsychology & Behavior5 scraped data from 1,347 Unreal Tournament 2004 matches. 6 They found that red teams won about 5% more matches than blue, which is far more than you would expect from chance alone. There is a caveat to this, though: this “seeing red” effect isn’t huge and won’t be the deciding factor in anything but a very close competition. The 2004 study by Hill & Barton confirmed this: when competitors were mismatched (such as a a heavyweight boxer wailing on a middleweight) the advantage afforded by wearing a red uniform went away. Similarly, a pro gamer isn’t goint to lose to a scrub simply because she was randomly assigned to Blue. 2. Hill, R. A., & Barton, R. A. (2005). Red Enhances Human Performance in Contests. Nature, 435(7040), 293. 3. Hagemann, N., Strauss, B., & Leißing, J. (2008). When the Referee Sees Red… Psychological Science, 19(8), 769–771. 4. Frank, M. G., & Gilovich, T. (1988). The Dark Side of Self- and Social Perception: Black Uniforms and Aggression in Professional Sports. Journal of Personality and Social Psychology, 54(1), 74–85. 5. Ilie, A., Ioan, S., Zagrean, L., & Moldovan, M. (2008). Better to be red than blue in virtual competition. Cyberpsychology & Behavior, 11(3), 375–377. 6. Why they didn’t stop at 1,337 for an awesome in-joke I can’t imagine. I MEAN COME ON. 7. Here’s an interesting idea for a study. Step 1: find a slight advantage for Red in a game similar to what’s described above. 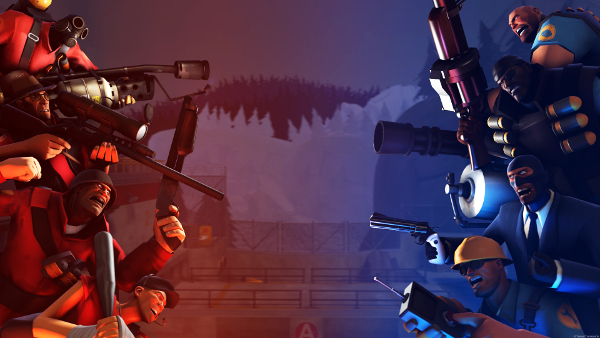 Step 2: mod the game so that players on either side always see themselves and their team as Red and their opponents as Blue. Step 3: See if this makes the effect goes away. Step 4: Fame. I think you’ll find interesting that Riot Games is considering adding an option to League of Legends which makes your team always blue and enemy team always red – it’s currently in the PBE, actually. Ha, really? That’s awesome. I know they were doing some research on the color of text as well. Cool. A competitive Quake like Shooter I play already has this implemented. Feels good. Completely unrelated, but I thought this was an excellent read on the psychology of why people are feeling like there’s nothing to do in WoW currently despite there being more content than ever, and I would love your take on it. World of Tanks has a permanent system, where your team is green and enemy is red. But the thing is that you see your teammates green and enemies red, but you have no color. Neverwinter Online has the similar system but with Red and Blue. Which in this case can create an illusion that your team in whole is weaker. Yeah, I always thought so too. I used to have the hardest team remembering which color was which on attack/defend maps. I hate when games show my teammates as green and the enemy as red because I’m red/green colorblind. I inevitably attack my teammates at some point. I think games devs need to recognize that a significant portion of the male population, their core demographic, is colorblind. I think it’s around 10%. Red vs. blue is much better. What if somebody’s blue colorblind? I don’t think that’s a thing. Red/green is the commonest. They should make it where the teams are black and white so all people who are color blind can play.